*I didn’t see this info listed elsewhere, but please combine threads if I missed it. 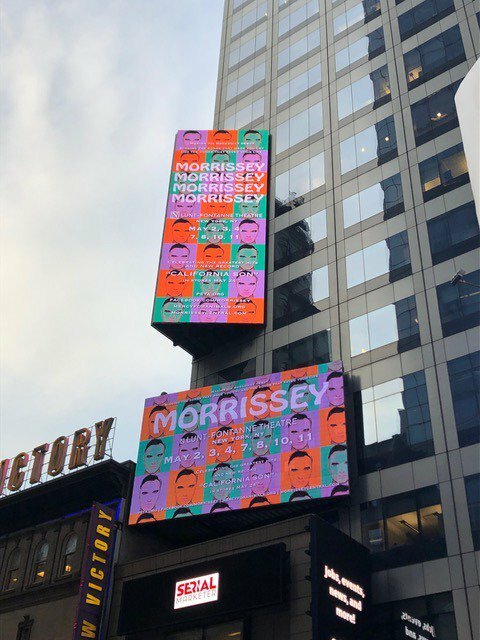 On May 14, 2019 in Philadelphia, Morrissey is playing a showcase at Non-Comm, which is a convention for public radio folks- a 4-day gathering of public music radio programmers, radio talent, etc. The festival is in Highland Park, Illinois. "Thank you New York!!" 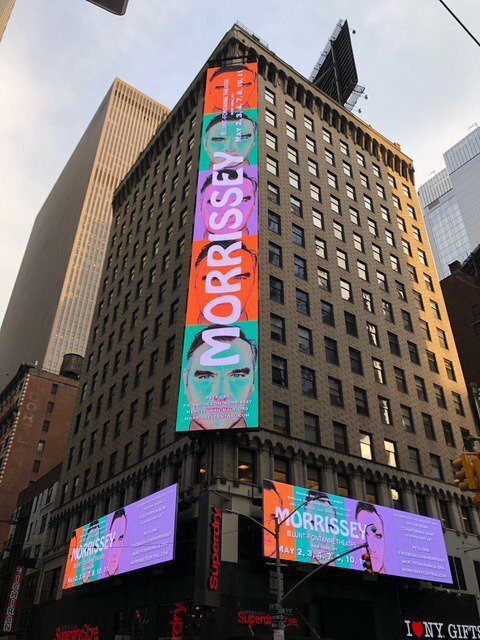 - Morrissey - @officialmoz / Twitter; all 7 shows "sold out instantly"
Morrissey, the British singer-songwriter whose baritone voice has become part of the cultural fabric, will come to Broadway. 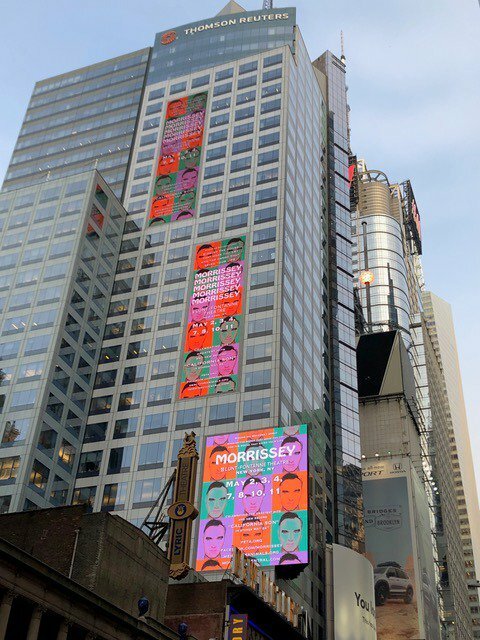 The former frontman of The Smiths will play Lunt-Fontanne Theatre in residency May 2–11 in conjunction with the release of his latest album, a collection of '60s and '70s covers titled California Son, set to drop May 24 through Étienne Records/BMG. 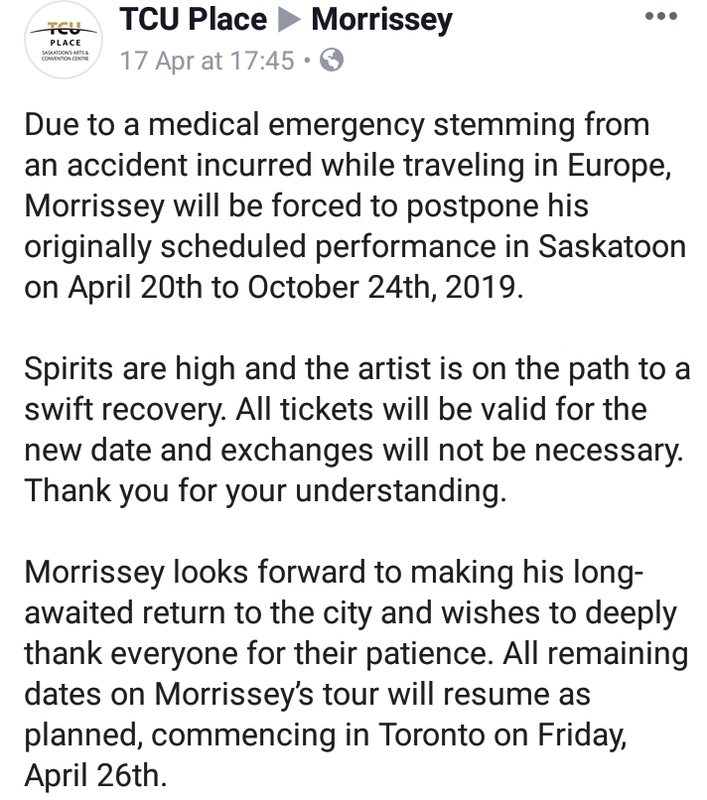 Tickets go on sale March 8 at MorrisseyOfficial.com.